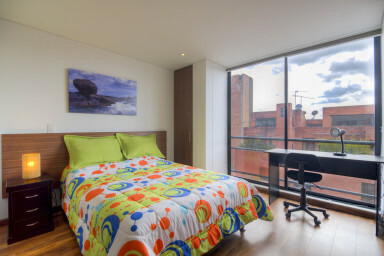 The apartastudio is located in Chapinero Alto (Carrera 3 y Calle 57), one of the most exclusive and exciting neighborhoods in Bogotá. It is a culturally diverse hot spot, close to nightlife, restaurants, and the best gastronomy area in the city, a definite favorite among visitors to Bogotá. 5 minute walk to Bogotá "Soho" area with restaurants, bars, french bakery, etc.